Having a light-hearted chat with your colleagues can be one of the best parts of going to work. A positive workplace culture encourages colleagues to interact in a friendly way as this helps with communication and building relationships at work, as well as making work enjoyable for everyone. Gossip, defined as negative speculation around colleagues or events at work, can thrive in a number of different situations. One of the most common contexts for damaging gossip is in the context of real or conjectured change. A new manager is appointed, an office move is planned, and suddenly the rumour mill is up and running, speculating on restructures and possible redundancies. Gossip in circumstances of organisation change can be seen as an attempt by employees to regain some control in face of the lack of information and loss of control that change can bring. Gossip can also occur in situations of plain old boredom. Maybe one employee is especially given to running a commentary on the effectiveness of management or the peccadillos of colleagues. If that person happens also to be witty and incisive, the temptation to seek out their latest update becomes strong. The trouble is that this sort of commentary has the power to erode engagement and cultivate cynicism. Sometimes cynicism is warranted, but it rarely does much for human happiness. If the social interaction between colleagues becomes habitually negative and targeted, this can become a real problem. Workplace gossip can sap productivity, damage workplace culture, and, at its worst, lead to bullying and harassment. Workplace investigations sometimes occur against a backdrop of general low level workplace conflict and rumour mongering that extends beyond just one complainant and respondent. Workplace gossip in these circumstances is often about power, with rumours about ‘the other side’ used to bolster the position of the gossipers. Gossip is particularly risky in the context of an active workplace investigation. Where one member of the team makes an allegation of bullying or sexual harassment against the manager or another member of the team, gossip within that can be a real problem that needs to be actively managed. When faced with a serious workplace complaint, managers need to take steps to investigate allegations thoroughly and within a reasonable timeframe, while managing any risks to health and safety to their team. Sometimes this means that a respondent is stood down from work while the investigation takes place, sometimes a complainant will be moved to a different area for the duration of the investigation. During a workplace investigation, an investigator may need to speak to several members of the team as they are witnesses to allegations. Team members may be on edge as they are formally interviewed and perhaps asked to review transcripts of their evidence. Senior managers and or HR may be more visible within the team. Workplace routines change. All of this is fertile ground for gossip. Gossip can harmful to a workplace investigation as it means that team members who may be witnesses to allegations may have their recollection of events altered or confused by later conversations. There is an important distinction between direct evidence that a witness is able to give based on what they saw or experienced directly and hearsay evidence based on what other people have told them happened. In some cases, we have seen witnesses whose evidence has become confused and muddied, where they are unable to distinguish between what they themselves saw or heard and what they were told later in the staff tea room. This can make investigating allegations – sorting out the direct evidence from the hearsay and making findings of fact – much more difficult. Another risk with gossip around workplace investigations is the risk to reputations and ultimately health and safety of the respondent and the complainant in an investigation. Both parties have the right to confidentiality and it matters a lot that this right is respected. If the whole team is buzzing with speculation as to what exactly was said to whom, and whether the manager is a bully or if the complainant is a liar, this is an environment where it can be difficult for a team member or manager to return to work after an investigation. At worst, gossip can pose a risk to health and safety of the participants in an investigation. Clear and timely communication around a workplace investigation is crucial for preventing workplace gossip. 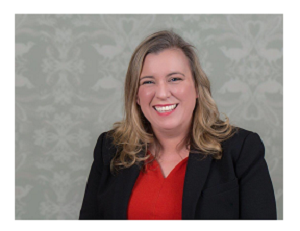 Managers should take positive steps to ensure that the participants have the information that they need as well as to maintain the confidentiality of the investigations – this can be a tricky balance!. Provide an outline of the investigation steps and what to expect from a workplace investigation in writing to each participant. Managers should give a clear direction to participants to keep the matters relating to the investigation confidential. If necessary, managers should warn that a failure to keep matters confidential may result in disciplinary action against the participant. Provide a ‘point person’ who is able to give information about the investigation process as it progresses. Workplace investigations can sometimes take unexpected turns, leading to delays. If participants are left in the dark without knowing what is happening, speculation and gossip can fill the vacuum. Ideally, an organisation should appoint a person outside of the investigator who is responsible for managing the information flow to and wellbeing of participants. This person can let participants know when the investigation is delayed and when to expect outcomes. When the investigation is finished, make sure you tell the participants! At Worklogic we have dealt with quite a number of participants who are stressed and frustrated months later because they have not been told by their employer that an investigation is over. The information to be communicated will vary, depending on the participant. Where you have a several team members involved in an investigation and everyone knows that a complaint is being investigated, it is important to take steps to provide appropriate information and directions around confidentiality to the team. Managers can have a team meeting where you explain that an investigation is taking place and the steps that have been put in place while this happens. You can acknowledge that that this are disturbances involved, but explain that speculating on outcomes or gossiping about who said what does not help the investigation or the broader goal for everyone to work together effectively. Invite each member of the team to imagine that they are a person who is making a complaint or who has been accused of something. Ask people to imagine the stresses involved and how important confidentiality would be to each of them under such circumstances. Take the opportunity to let team members know that all organisations are increasingly required to put in place confidentiality measures, particularly in whistleblower scenarios, and that these are created to be protections for all employees. An email summarising the discussion and reminding them of the direction not to gossip about the investigation is a good follow-up. 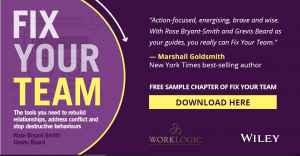 To learn more about strategies to address a gossip culture and other symptoms of team dysfunction, you might like to read our bestselling book, Fix Your Team by Worklogic co-founders and directors, Rose Byrant-Smith and Grevis Beard, recently published by Wiley. You can download the first few chapters (including one on Gossip Culture) for free now!